Hi guys, the sign of paramedics in the war is a the red cross! The national swiss flag is: A white cross with a red background. They always do that wrong, they always mark the paramedics with the swiss flag! Why??? So what are you talking about exactly? The Medic icon in the game? Because the actual Red Cross organization trademarked that logo a LOOONG time ago. That's why you don't see it in ANY video games anymore. A combat medic shouldn't wear the red cross symbol anyway, since that would mark him as a non-combatant who isn't allowed to carry a gun. Not strictly true. Military Medical personnel can carry small arms and still be afford special protection as long as such small arms are used solely for the defence of their patients and themselves. 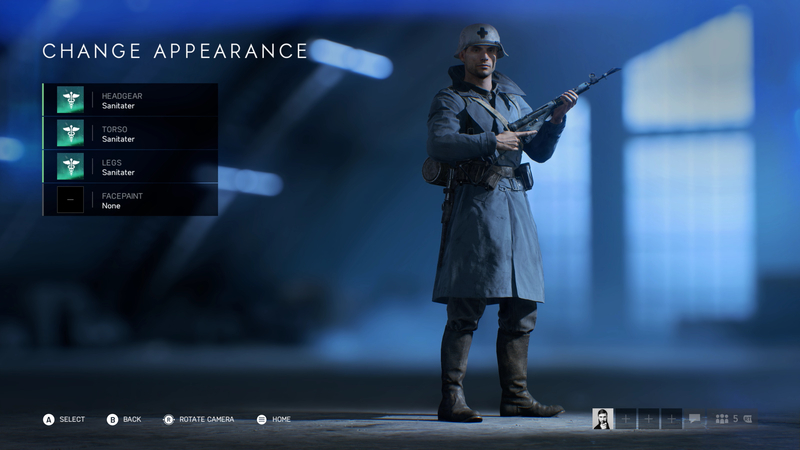 However, given the way that Medics are portrayed in Battlefield, yes it would be inappropriate for them to wear the red cross or equivalent. Not sure if this is a serious thread. Why do you have bars and a lock over your grav? Is it to reflect your current life situation as a resident of HMP Belmarsh? I didn't even know they had internet in there. Recently, the misuse of the red cross emblem in video games has received media attention. But the issue of protecting the red cross emblem is not new. Despite the efforts of the Red Cross and Red Crescent Movement over many years, the emblem has been improperly displayed by individuals, businesses and organizations in a vast range of uses from first aid suppliers through to children’s toys. Unfortunately, many people mistakenly assume that the red cross is in the “public domain” and can be used by anyone. In fact, the red cross emblem is an important symbol of humanitarian protection. It is recognized as such in both Canadian and international law which prohibit its unauthorized use. Misuse of this valued symbol distorts its meaning and its protective value for victims of conflict and the aid workers that assist them. Whether it is transporting vulnerable people in Red Cross vehicles and ambulances, treating their wounds or illnesses in Red Cross hospitals and medical aid posts or providing them with housing and refuge in Red Cross camps and facilities, in the field the red cross is a clear, distinctive sign of humanitarian assistance and protection. In an increasingly uncertain world, this protective use of the red cross emblem has become more and more important. In the past ten years, there have been 162 fatalities among Red Cross and Red Crescent Movement personnel including two Canadians. When someone misuses the red cross, (the video game industry being just one of many), we seek their cooperation in ending the unauthorized use. In nearly all cases, they comply and no further action is necessary. As a humanitarian organization, our preferred choice is to educate people about the emblem and seek their cooperation. That includes the makers of video games whose products touch the lives of millions. The red cross is a powerful symbol of neutrality, impartiality, humanity and hope. Please help us protect it! The pharmamedics in bf5 are marked whith the swiss flag not whith the red cross which is the sign for paramedics sins 1866. Why would you trademark a humanitarian organizations logo? No-one can give aid in the name of Jesus but us! Why would they not want medial exposure for their cause? It's not like someone falsely marking a location with the red cross in a combat zone will care about trademark anyway. A D-move in every book. Think about logos and trademarks for a minute. Seriously, one full minute. The answer is simple. Yes.. it's the swiss flag not the medic icon. The red cross is symmetrical in all ways, the cross of christ is not. They are not the same. The red cross is not religious, and is impartial regarding ethnicity, religion, nationality and has been from its inception. Are you happy with the Sanitater? Clearly no religious context at all, which is why the red crescent was needed, to further stress that there were no religious connotations.